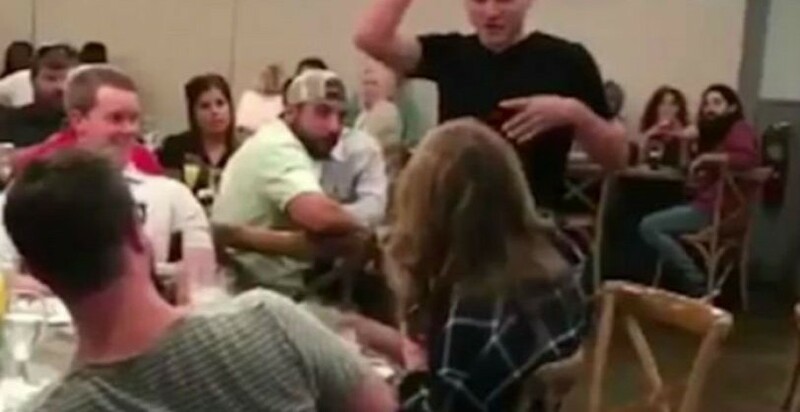 This is the moment a boyfriend humiliated his ‘cheating’ girlfriend by exposing her alleged affair in a fake marriage proposal in front of a room of diners. Footage shows him hold the attention of people eating brunch as he makes an apparent declaration of love in a video reportedly filmed in the US. Rather than slip the ring onto her finger, he drops it in front of her face on the plate, swears at her and leaves the room stunned. As the video cuts out there, viewers were left wondering what happened next after it was shared on Twitter.